I love wearing ponytails as they are very easy to do. I just get out of bed, take my hair up and the job is done. Given my love to this simple hair style, I have also learned a few tricks to make the ponytails look more glamorous. 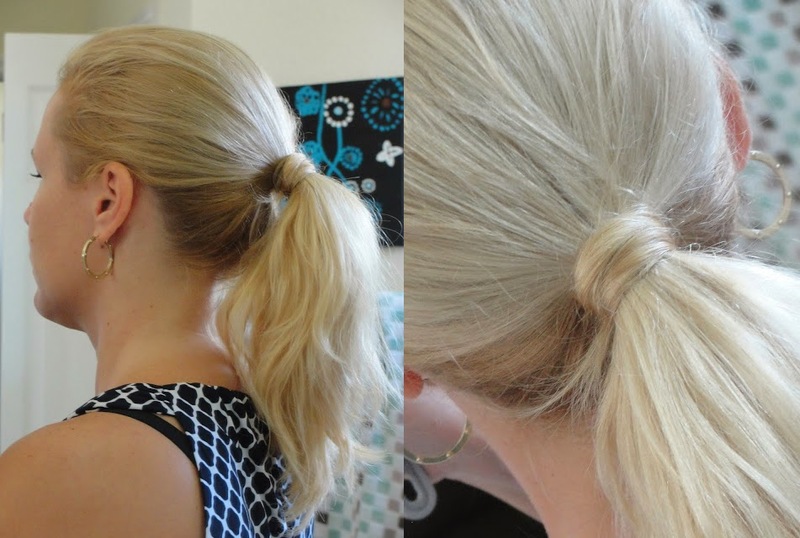 Here I am sharing the two ideas on how to pimp up a ponytail. The first idea: How to make your ponytail appear longer without using hair extensions? Look at the pictures and move clockwise to get from the top left, which is a standard ponytail, to the bottom left, which is the pimped up longer version of the ponytail. First, make a half head ponytail from the hair at the top of your head. 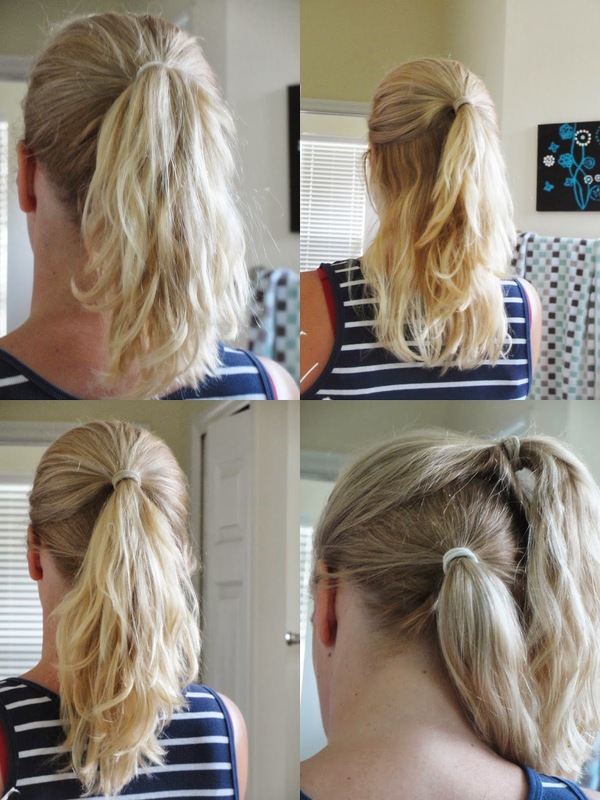 Second, make another ponytail from the rest of your hair. Third, shake your hair to mix the two ponytails up. Ta-da! Your ponytail is looking much longer! Super easy and a fun trick! This is also super quick and easy. First, use an elastic similar to your own hair colour so that if it is peeking through your hair it does not look too harsh. Second, take a string of your own hair and twist it around the elastic band to fully hide the elastic. You can either use a bobby pin to keep the spiralled hair in place or you can simply put it into the elastic band just like I do. It's very quick and easy to do and it looks really cool! Have fun trying this out! I hope you, guys, enjoyed reading this and I wish you a happy weekend! These two brilliant ideas were picked by myself from Sissi's amazing beauty blog www.beauty4free2u.com. Please be sure to visit her site where she shares a lot of interesting beauty information, such as her own fashion styles, product reviews, beauty ideas and tips. I would like to thank you, Sissi, for providing me with this amazing article and sharing it with my readers. Happy weekend to you and to all of my visitors! Thanks for stopping by!